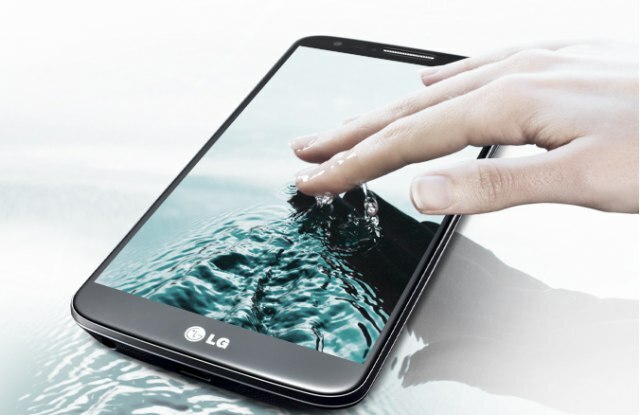 LG is making a comeback with their G Series Smartphones and this will bring back the excitement that the Cookie did just 6 years ago. The best thing about smartphones manufactured by Asians is that they can load the phone with an insane amount of good stuff (that’s comparable to or even greater than US and EU-made phones) and still sell them at one third the price that Apple iPhones are being sold. But this time the Korea-based phone manufacturer dared to raise eyebrows when it plans to sell the G4 at around $800 – $1,000 which is surprisingly more expensive than the iPhone 6 and HTC One M9! However, they’ll give you a lot of the good stuff for the amount you’ll be paying, like upgraded screen and a more advanced camera, longer battery life, RAM, core processor speed and the new leather coating which is not available in any other phones. 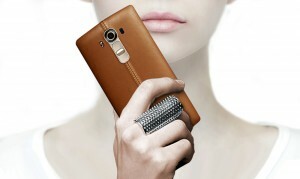 Honestly, the leather back overlay for the LG G4 is kind of a step backwards, because you may get that nagging feeling that you’re purchasing a Louis Vuitton bag or boots instead of a smartphone; which is awkward – and that’s an understatement. Just wait ‘till it’s your turn to go shopping for this thing! The huge 5.5-inch Quad HD display absolutely kills it! From the moment I touched the second-series prototype LG G4, I never wanted to put it down again and I even had this silent enthusiasm to ask the attendant if I could take it home with me, which was inappropriate and rude to a certain extent. Still, with all the emotions aside, there’s nothing NOT to like about the G4. It is as a premium brand quality as any other phone in the market! 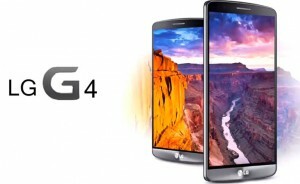 The plastic, ceramic and metallic versions of the G4 is not so terrible, in fact, they are comparable to the other top mobile phone manufacturers. However, I have to say that HTC, Samsung and Apple does it slightly better. Keep up the good work LG, you’re almost there! I think that the main goal of LG is ergonomics as that’s what I’ve concluded when handling the G4 smartphone. It feels easy and light to the touch compared to other smartphones out there. The battery is also better in two significant ways: 1) it packs more power than other phones at 3000mAh and, 2) it’s removable. I actually prefer the removable battery design over the unibody chassis that other phone manufacturers have added to their latest design features. The point is Lithium-Ion batteries can only last so long and after using it for 8 months on, their power factor is reduced by 18% or more, depending on how often you use your phone. Replacing the old battery with a new one is one way to go, of course, you can also use two or more batteries in reserve to lessen the charging time. Massive phones have become the trend nowadays and if you don’t have one of those in your pocket or shoulder bag, then you’re certainly the sorest person to ever walk this Earth. But the bulky and wide horizontal surface makes them unwieldy, so the designers came up with an ingenious idea – make the edges curved to compensate for ergonomics! And it worked. Even the designers at LG realized this fact and included it in the G4. The G4 has neatly tucked away all of the inconvenient pesky keys on the back of the phone just below the 16 megapixels camera; while most phone manufacturers have these in the front and sides of their phones. Okay, our contenders for the maximum resolution on their respective phones’ display starts with Apple iPhone 6 (750 x 1334 @ 326 ppi) which is the lowest among the 6th gen smartphones on the market. Next we have HTC One M9 (1080 x 1920 @ 441 ppi), then comes the other Korean-made Samsung Galaxy S6 Edge (1440 x 2560 @ 557 ppi) which is more or less similar to the LG G4’s resolution [2560 x 1440 (Quad HD) @538 ppi]. The new Quantum IPS display on the LG G4 is probably the best I’ve ever seen to date, and I think it competes more with its homegrown rival, Samsung Galaxy S6 Edge than Apple or other brands. I find the 5.5-inch display a bit difficult to navigate (makes you wish you had a stylus pen actually), but again, the screen will take your attention away from other inconveniences. Deeper reds and brighter blues, that’s what’s mostly the QUAD HD does which means it has cinema quality images and videos. It should feel like blu-ray on a smartphone, yeah, that’s just how amazing this phone is. Apple had better watch its back, because Samsung will not be the only rival in the block soon, HTC, Lenovo and especially LG will want a huge chunk of the smartphone market! The LG G4 also sport a new unlocking feature called, the “Knock Code.” It works differently with the security PIN and the swipe code that you may have already seen in other smartphones. The Knock Code works by tapping a couple of times on particular areas of the LG G4’s screen to wake it up from sleep. It is a more efficient way to unlock the phone and it’s much ‘cooler’ in my opinion. Whatever the decision-making block did in LG for its latest G4 smartphone concept, they did it so well, because they focused on 3 things: a) great camera for photos, a colour rich display and excellent design features. It’s so much better than Apple’s iPhone 6 and HTC One M9 that it is, by far, the only one I could find worthy to compete with the Samsung Galaxy S6 Edge. I’m definitely getting the LG G4 when it opens up for sale next month and you should too! Using social networks at work is generally conceived as a taboo. Facebook has been working on fighting that taboo and released a new product called “Facebook at Work”. According to TechCrunch, the new product allows businesses to create private networks among their employees. Users will access those networks through Facebook on the web. It will also be accessible on new Android and iOS apps called “Work”. The user interface of Facebook at Work is pretty much like that of normal Facebook. It features a News Feed, profiles and other similar features. The “Groups” feature however has been designed to replace emailing within a company and become an important element of a workplace. To login, users can either use their existing Facebook accounts or go through a seperate login for work. Actions performed on Facebook for Work won’t appear on the normal timeline of employees. Facebook for Work differentiates itself from regular Facebook in two major features: no advertisements and no user data tracking. These elements keep Facebook from making any money on the service which is currently being offered for free to pilot testers. Perhaps a subscription fee will be placed in the future after the program takes off. Facebook’s new product follows in the footsteps of other popular services like Slack and Yammer, which have gained immense popularity in replacing workplace emails. Facebook’s advantage over its new competitors is familiarity. Due to its widespread usage, employees won’t have to learn new commands and layouts as they will already be familiar with the service. 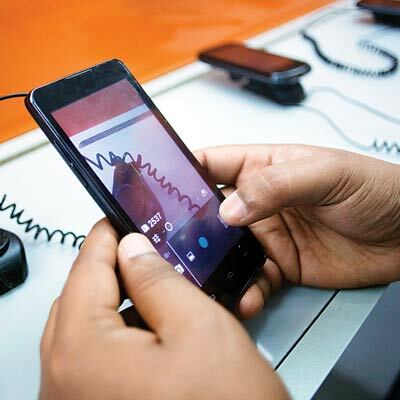 One thing which could be holding users back is data tracking. Although the company says it will be doing no such thing, people are still suspicious. Rumours about Facebook for Work had started circulating back in November, but has only been released today to app stores. The product is still not available to all, as it is currently only offered to a small group of partners. The Moto X was quick to receive the new Android Lollipop update as promised to its second-generation devices. Motorola has also begun pushing updates to the Moto G since then. The company says the rest of the Moto line will be getting updates “really soon”. “There is so much anger floating around this topic, I just want to reassure we’re working really hard on it, and, as promised, our Moto products from 2014 and 2013 will be updated to Lollipop really soon,” explained Motorola’s Luciano Carvalho on Google+. Soak testing for the Android 5.0.2 release has already begun on select devices. Provided no issues arise during the testing phase, Carvalho says that it will be released soon to a wider audience. Carvalho asked users of the first-generation Moto devices to check Google Play to ensure that they are running the latest Motorola Update Services. If it doesn’t show up or is incompatible with your device, check back later and it should be available for download. Google’s latest android version releases take time to be releases to Motorola handsets, although they run a nearly pure Android software. Carvalho pointed out that since Google doesn’t validate its software for every hardware combination, manufacturers must do it themselves which takes time and effort. 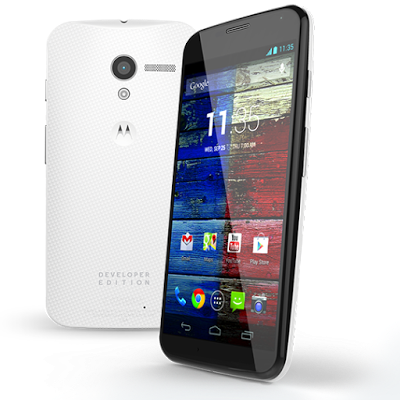 Motorola does however promise that the wait will be well worth it. The new versions will be bring the best performance and stability to your loved Motorola devices. Google TV has failed to take off as expected when it launched in 2010. Issues such as poor customization options, laggy apps and disappointed customers have led Google to discontinue the product. It’s developer tools and libraries will also no longer be supported and unavailable. 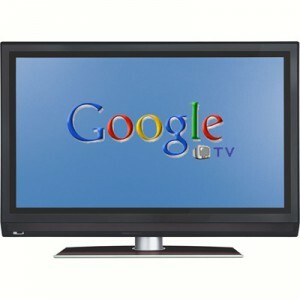 Google TV had been successful to an extent in gaining developer support. It incorporated Chrome and Android features in a 10-foot interface and a QWERTY remote which allowed users to use games, apps and play online video content. “While the Google TV libraries will no longer be available, we’ve made it really easy to transition apps to Android TV using familiar Android development tools, as well as our new Leanback support libraries,” said Google and Android TV teams. Android TV was announced only last year, showcased on the Nexus Player set-top box by Google. This week at CES 2015, Sony announced that all of its Bravia TVs will be featuring Android TV. More companies will be partnering with Google to bring Android TV devices. Google has already identified Sony, Sharp and Philips among them. “We expect to see an exciting lineup of Android TV devices in the coming year, including TVs from Sony, Sharp, and Philips, as well as other set-top and over-the-top boxes,” added the teams. Favourable reports have been coming in from CES 2015 in Las Vegas that the Android TV hardware has been featured on several TV manufacturers. Sony, Sharp and TP Vision have expressed support for Android TV. Support for the platform has also been confirmed by chip makers including Qualcomm, Nvidia, MediaTek, Intel, Broadcom and ARM. Bugs may still appear sporadically on the Android TV, but there is little doubt that it is still far superior to the discontinued Google TV. It’s better hardware features make that possible alongside its simplicity and newer software to make Internet TV streaming advance even further. 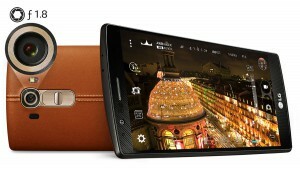 Other manufacturers like Huawei and Razer have also expressed willingness to support the product. Recently Google has been improving the Google Maps. The improvisation of the Google Cardboard has been the best possible way for Google to set an example for the rest. The Tech Giant has now introduced a superior way which will actually bring the Google Street View to Virtual Reality for Google Cardboard. 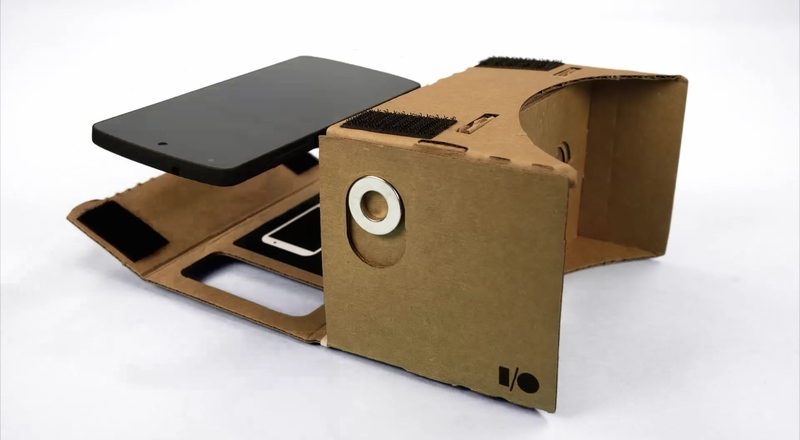 The Google Cardboard is simply made up of cardboards and costs only $10. It is compatible with Android phone and can be made at home as well. Google confirmed that it can be coupled with an Android Phone which is at max 4.7 inch in screen size. To teach secondary students about cryptography, the Government Communications Headquarters (GCHQ) in the United Kingdom has released an Android app which is “fun, free and educational”. The Cryptoy app will help children understand basic techniques on encryption and create encoded messages. It does not requires any special permission to access confidential information on Android devices. The British Government hopes that Cryptoy will help them find the next generation of cyber-spies. “[Cryptoy is a] creative solution in the hunt for expertise, but with a 21st century spin”, said Francis Maude who is the British Minister for cabinet office. GCHQ, which is considered the British equivalent of the United States’s National Security Agency, says that an iOS version of the app will be available next year in 2015. As well as revising the history of cryptography, the app covers both the theory and practice of the subject. It targets Key Stage 4 students. The idea for the app was first developed as a test project for the Cheltenham Science Festival by industrial placement students from GCHQ. However, due to growing interest from teachers, GCHQ was persuaded to make it publicly available. Examples of cryptography used in the Android app are from an “earlier era”, as stated by the spy agency, but relevant to today’s techniques. “Building maths and cyber skills in the younger generation is essential for maintaining the cyber security of the UK and growing a vibrant digital economy,” said GCHQ Director Robert Hannigan. Hannigan described the spy app as a “colourful, interactive way” for students and teachers to explore the complex world of cryptography. The app is now available to download and compatible with versions of Android 4.1 and above.